For people who are using the internet as a means of earning income, it is only natural for them to want to make the most out of it. That is why they would ensure that everything is going according to plan. Of course, one of the things they would ensure is the coming of visitors that can soon be converted into customers. One way of ensuring that is through the presence of landing pages. These pages are capable of converting visitors into customers. Thus, for people who wish to make the process of converting visitors into customers easier, here are some of the best free WordPress landing page plugins you can take advantage of. With this WordPress landing page plugin, you can manage several contact forms. The form can also be customized along with the mail contents that can be customized flexibly by using a simple markup. It supports CAPTCHA, Akismet spam filtering, Ajax-powered submitting and many more. Many of the visitors who are interested in the products and services being offered may want to know about such things that would come soon. That is why coming soon page must easily be set up for the benefit of visitors, especially customers. Through these WordPress landing page plugins, it is made possible. By using this landing page plugin, quick and easy setting-up of the launch or coming soon page for the website is enabled. It is a plugin that helps in creating landing pages, which is also known as splash or conversion pages for your very own WordPress site. With the help of the plugin, you will be able to monitor and even track conversion rates and run multivariate split tests on your landing pages. The most important ability this plugin has is it can increase the lead flow. This plugin is very easy to set up. Landing pages is an important part of a website since it is the one that helps in bringing in sales. Now, if you are having a hard time creating one, you do not have to worry anymore. That is because the solution is already presented to you, the Easy Landing Pages plugin. 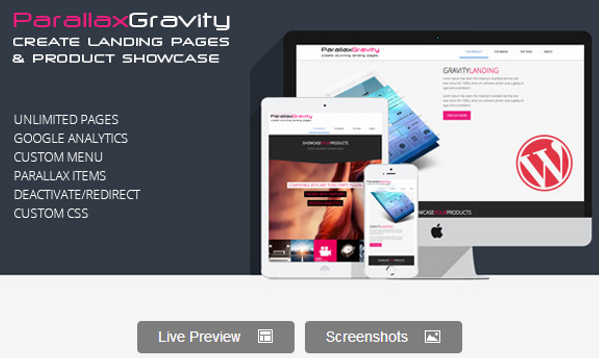 With this, you will be able to publish landing pages easily and increase your sales more. The landing pages to be published are generated from KickoffLabs. This is the wordpress landing page plugin that enables you to use widgets in editing the Footer area like the Return to Top and the Copyright or Credits. Want more subscribers? This landing page plugin is the perfect solution for that. It lets you gather subscribers and manage them in a separate newsletter. You are also assisted in sending follow-up emails, broadcasts and blog post deliveries. All of those are enabled in just this one plugin. There are more of the best free WordPress landing page plugins that you can find. With what is mentioned above, it is about time that you choose what you need. This way, converting your visitors into customers bring you in more sales.